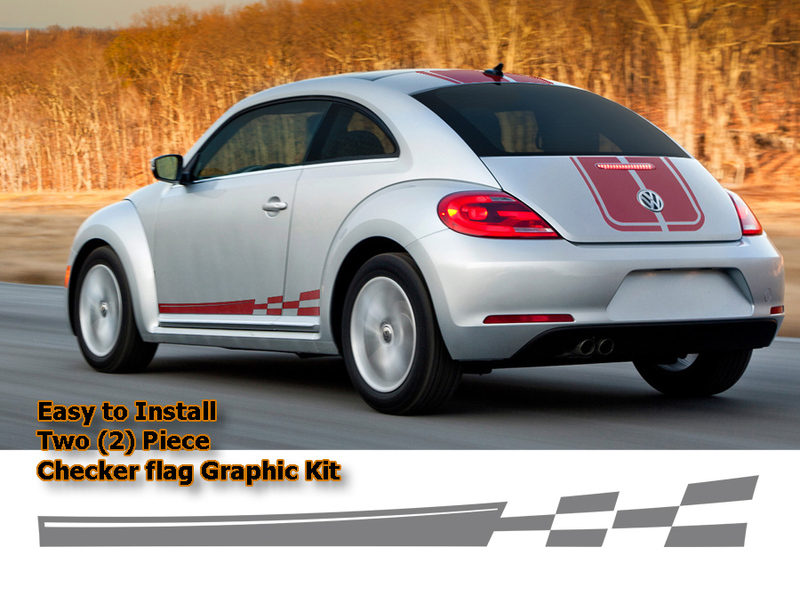 Set your '11-Current Volkswagen Beetle apart from the rest with this unique Checkered Flag Body Side Graphic kit. Available in a wide variety of colors, graphic is precut and packaged with one (1) left and one (1) right side graphic - NO TRIMMING required!. Distinct from generic body side graphics, this kit is specifically created and manufactured for the Mini's lower body area and is designed to be set right on the bottom door edge. Graphic kit is vehicle specific and will not fit any other vehicle.